Move over Buckingham Palace and Westminster Abbey. Unlike other major world cities that push new buildings and modern architecture to the outskirts of town, London isn't afraid to raise eye-catching new developments in the heart of its most iconic neighbourhoods. 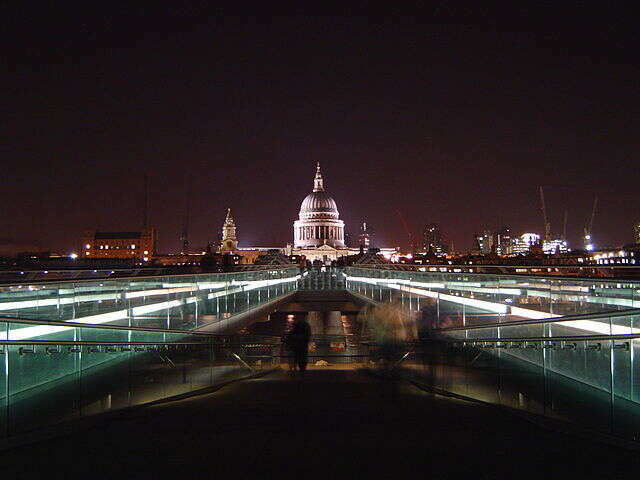 Lynn Elmhirst, producer/host of BestTrip.TV, shares the best places to experience where old meets new in London. 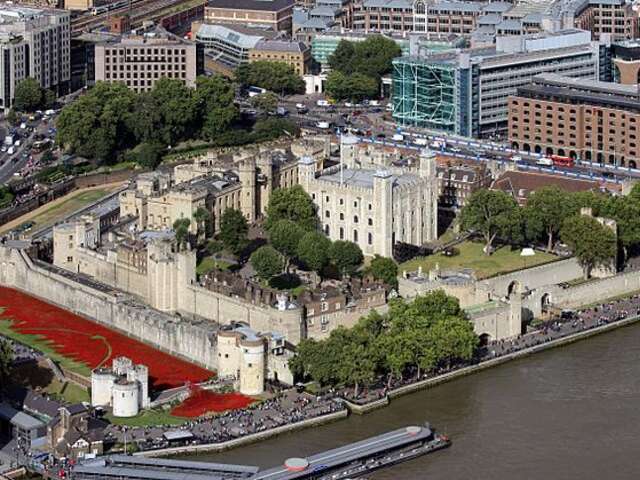 Dating back to the Norman Conquest in 1066, the Tower of London, officially Her Majesty's Royal Palace and Fortress of the Tower of London, is a storied castle on the River Thames in central London. It is stereotypically mediaeval-looking, with imposing stone walls and a moat and a history as a jail of famous, even royal prisoners, many of whom literally lost their heads in the Tower yard. The Tower has been one of the most popular tourist attractions in London since the 1600's; especially since the monarch's Crown Jewels, guarded by Yeomen, have been on public display since 1669. 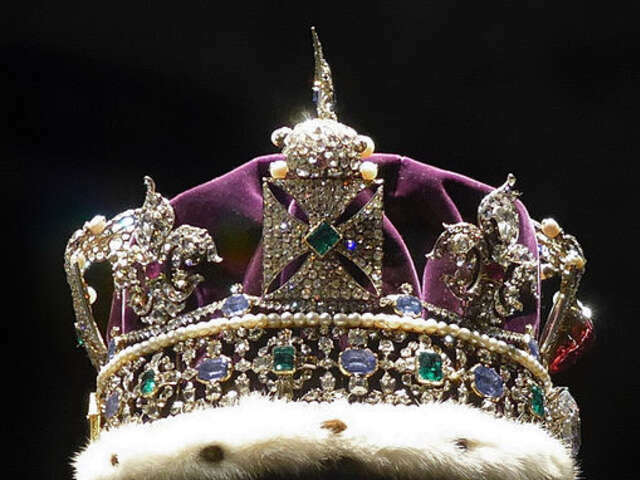 You can still see them (both the Crown Jewels and the Yeomen) today on a visit to the Tower, now a UNESCO World Heritage Site visited by nearly 3 million people every year. Don't miss the Tower ravens; at least six live there at all times to ward off an ancient superstition that if they are absent, the kingdom will fall. Very Game of Thrones. 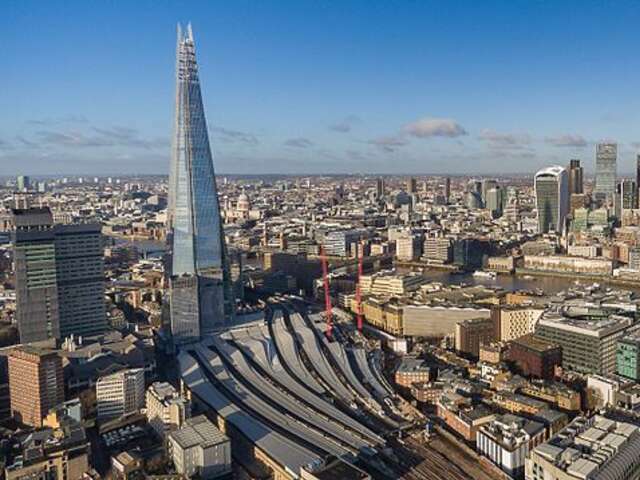 The name of London's newest landmark tower alludes to a shard of glass it resembles. The glass-clad pyramid-shaped tower is the tallest building in the UK, a 95-storey skyscraper 310 metres (over 1000 feet) tall. 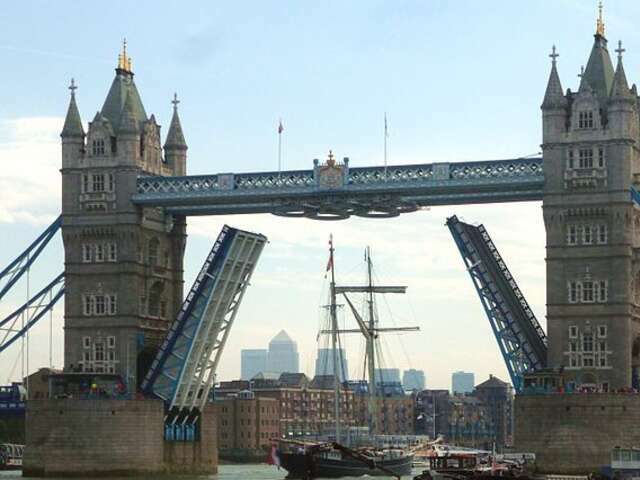 Its architect was inspired by the church spires of London in 18th century art and the masts of sailing ships on the Thames, envisioning the Shard as a spire-like sculpture. 11,000 panes of angled glass used as cladding reflect sunlight and the sky above, changing with weather and seasons. The Shard opened in 2012 with a viewing gallery and open-air observation deck on the 72nd floor (245 metres/ 800 feet high); 'The Sky Boutique,' on Level 68, with limited edition souvenirs, is the highest shop in London. In 2014, the building was awarded first place in a contest of the world's new skyscrapers. 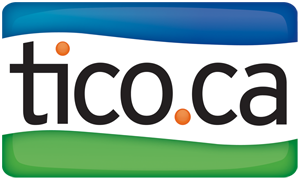 Judges call it 'London's new emblem'. When it opened over 150 years ago, it was proclaimed the biggest, most accurate timepiece in the world. The clock dials are set in an iron frame 23 feet (7.0 m) in diameter. The hour hand is 9 feet (2.7 m) long and the minute hand is 14 feet (4.3 m) long. A 2008 survey found Big Ben was the most popular landmark in the UK, and it's one of the world's most famous tourist attractions. But unless you are a UK citizen whose Member of Parliament can arrange it, you can't tour inside the clock tower, even if you're prepared to climb all 344 stairs to the top. 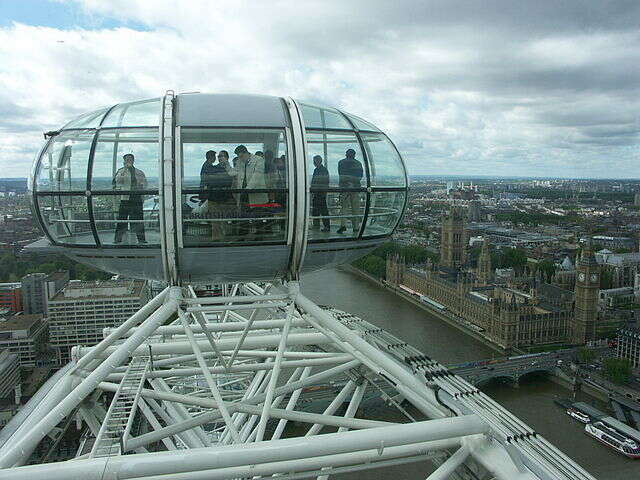 Instead, take a ride on the nearby London Eye, an even more immense 'face' of the London landscape. Amazingly, this giant, modern Ferris wheel graces the South Bank of the river Thames opposite the Houses of Parliament like it's always been there, even though it opened just before the dawn of the new millennium. 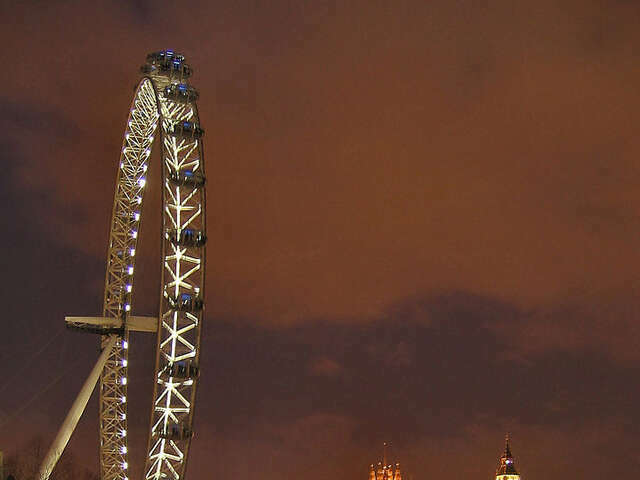 The wheel is 443 feet (135 m) tall with a diameter of 394 feet (120 m), a circle 20 times bigger than Big Ben's clock face. 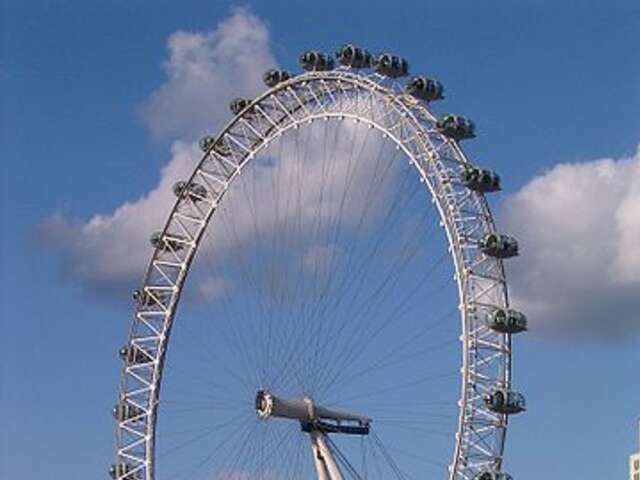 Unlike the 4-faced clock, the London Eye does not have a tower to support it, only an A-frame on one side, making it 'the world's tallest cantilevered observation wheel'. 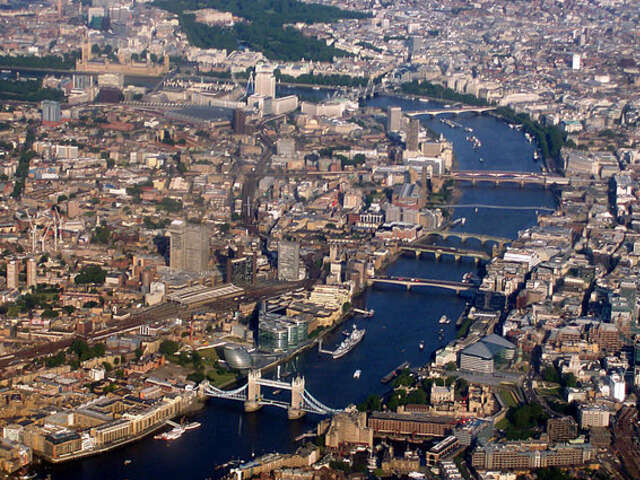 It's also the second highest public viewing point in London after the Shard. 32 oval, glass-enclosed capsules carry up to 25 passengers each for a half-hour rotation that offers a magnificent view over London, including Big Ben across the river. The London Eye is officially the most popular paid attraction in the UK; nearly 4 million people ride the gigantic Ferris wheel every year. 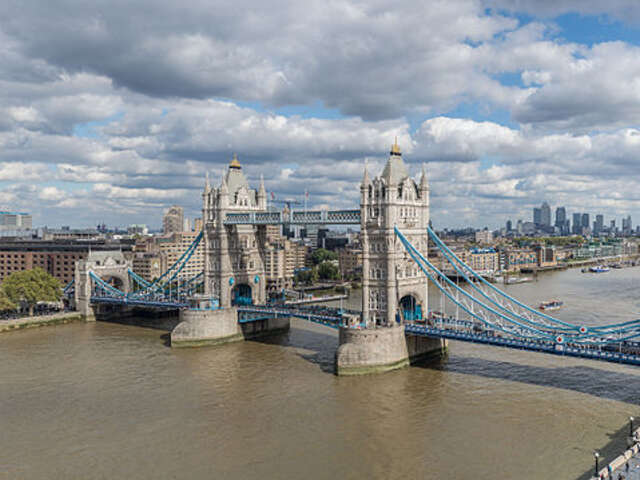 Tower Bridge actually has not one, but two, 65 metre (213 foot) towers that are connected near the top by walkways, and two, 1000 ton arms between the towers that lift in a mere 5 minutes to an angle of 86 degrees to allow river traffic to pass. The arms are raised a thousand times a year. Two lanes of vehicle traffic and two pedestrian walkways cross Tower Bridge, but river traffic takes precedence over the crossing road traffic. The bridge arms are raised only just high enough to allow boats to pass unless the Queen is on board, when they must be raised fully in salute to the monarch. The Millennial Bridge is for pedestrians only, engineered to support up to 5000 at a time. It's a steel suspension bridge also across the river Thames that opened in 2000, with the Globe Theatre and the Tate Modern near the southern end, and St. Paul's Cathedral above the other, northern, side. It was brilliantly designed to align with a clear view (a 'terminating vista') of St. Paul's across the river, framed by the bridge supports. (Photo credit). It is, after all, the Age of Instagram. The traditional London city skyline and streetscape, with its majestic symbolism and double-decker buses, has been transformed in recent years. New and daring developments now rival centuries-old landmarks, and if you're like me, you'll agree that modern and ancient architecture side by side makes both even more awe-inspiring and dramatic.